Life membership includes a membership certificate and medal (illustrated at left) and a subscription to the electronic newsletter of the Order, "The Salient"
Please see membership section for details. Any man or woman shall be eligible for membership in the Order who, being a citizen of good repute in the community, is the lineal or collateral descendant, in the male or female line, of an ancestor, man or woman, who served in the Great War for Civilization, who was at all times unfailing in loyalty to, and rendered active service in the cause for his or her country. 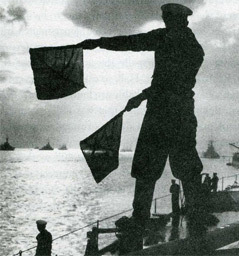 In addition to military service individuals who supported their country by “war work” such as working in industrial plants manufacturing war equipment, the American or International Red Cross, YMCA, Salvation Army, and other organizations, as well as those who served in the Federal Government in such capacities as the State Department, War Department, Selective Service, Rationing Boards etc, are also eligible. 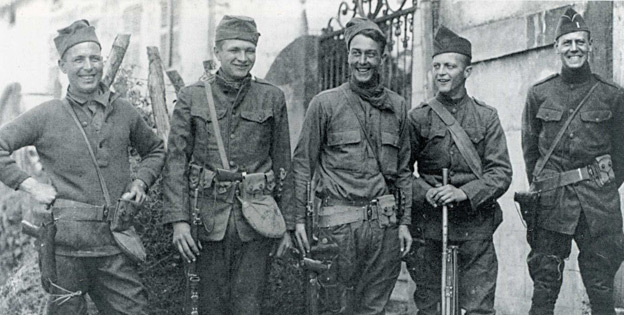 Although 1917-1918 were the dates of official American involvement in the First World War, but this Order is open to anyone with World War I ancestry from any country, in either the Allied or Central Powers, involved in the war from the years 1914-1918. 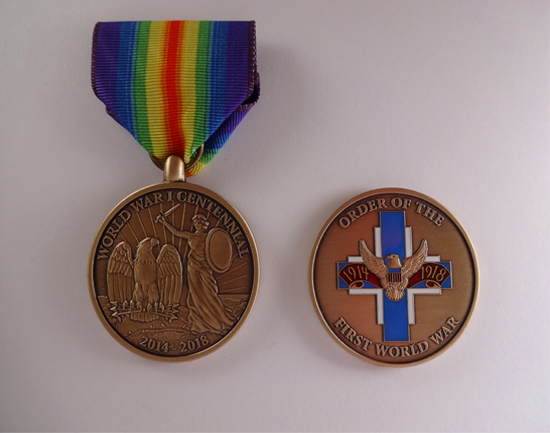 The Order of the First World War is proud to present a medal honoring the “Centennial of World War I” commemorating the Great War (1914-1918). We have both a Medal w/ ribbon AND a Medal as a Coin. *The picture shows the obverse AND reverse sides for both medals. We have shown the obverse side with the ribbon and the reverse side as a coin. $50 for a combo set of the Medal w/ ribbon & the Medal as a Coin. Please make your check payable to “OFWW” using checks drawn on US banks or international money orders payable in US Dollars. *Indicate exactly which Medals you wish to receive. 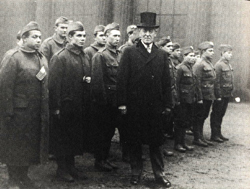 The Order of the First World War is a corporation of the State of Florida as a division of the Ancient Hereditary Orders, Inc. and has been designated a 501 ( c ) 4 organization by the Internal Revenue Service. The registered domain name is orderfirstworldwar.com.